Take Highway 160 south through Nixa and Highlandville, then turn west on Highway O before you get to Spokane. Old school biker camping like it used to be with live music, Poker Run, wet t-shirt contest, tattoo contest, bike games, vendors, and canoe rental is available. Lots of shady camping. Admission $15 per person and No one under 18 is permitted. * Needless to say this will not be a family oriented event. If you plan on a family float trip look for another date. Years ago I was asked by Wayne Hocklander to clean out the basement of his business, Hocklander Jewelry at the corner of South and Walnut in Springfield. It was filled with boxes of misc. papers, old jewelry boxes and basically what Wayne thought was junk, He wanted it gone. I started early one morning cleaning out the boxes and loading them into a dumpster when I dropped one of the boxes and had to pick up the papers. Much to my surprise they were old documents from the Springfield Wagon Company. I showed them to him and at the time they were in pretty rough shape. He made the decision to just pitch them. They were of no value I suppose back in the early 70’s. I decided to hang on the few decent ones, mostly correspondence to buyers and post cards. At that time I was more impressed with the elegant handwriting displayed and thought they should be saved. I’m glad I did. 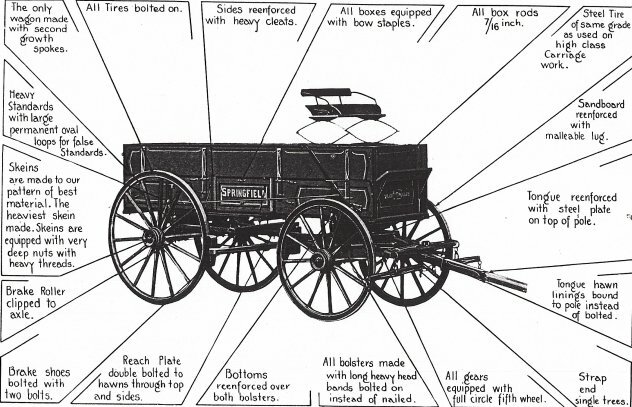 Below is the basic history of the Springfield Wagon Company if you’re not familiar with it. The Springfield Wagon Company could be called the company that didn’t blink. Through nearly 80 years of business, it took on many bigger companies head on, challenging them on their own terms. Now, the Springfield Wagon Company could be called the company that wouldn’t die. About 200 people recently gathered at Founder’s Park in Springfield, Mo. to attend a public forum in order to share their common interest in an early-day vehicle. They collected memorablia, one-of-a-kind photographs, and videotaped interviews. They also celebrated the return of a company that closed fifty years ago. The original Springfield Wagon Company, which operated near the scene of the collectors’ meet, sold many thousands of wagons from 1872 until 1941, when the factory relocated to Fayetteville, Ark. 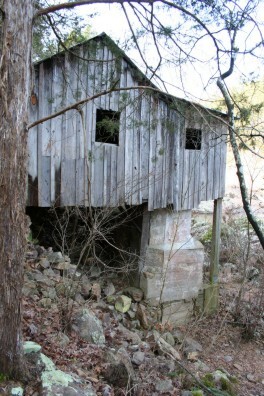 ‘Farm and road’ type wagons were made there near the Ozark hardwood forests until 1951. The wagon was one of the last high-wheeled vehicles in production. Springfield wagons were made from the best materials. The yellow poplar box was finished in green with yellow striping, and the brand name was printed in white-painted block type. Its oak or hickory running gear, including spoked (12 in front and 14 in the taller rear) wheels were orange, trimmed in black. This combination of distinct colors would remain trademarks of the well-known wagon for 80 years. When Springfield entered the market for wagons, it was a little fish in a big pond. Three major wagon manufacturers looked down their proverbial noses at the fledgling company. Studebaker had one of the longest pedigrees and was probably the most successful wagon at the time, followed closely by the Bain and Schuttler wagon companies. These companies were not alone. Birch, Wilson, John Deere and others had begun to establish footholds in the market. 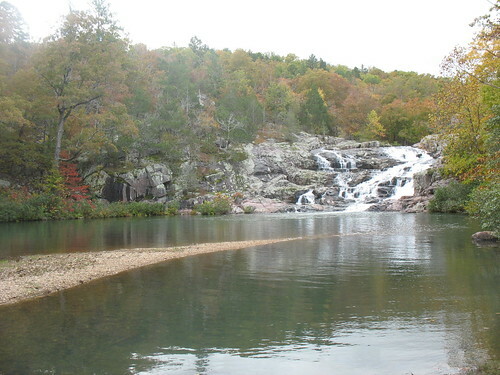 Winter can be a great time to visit the Ozarks. The dense foliage that crops up in the warmer months often obscures the dramatic geography that makes the landscape so interesting. That’s the case with Rocky Creek, a tributary of Current River that runs through southern Shannon County. Where the creek meets the stubborn volcanic rock that forms the St. Francois Mountains, shut-ins are created. Waterfalls cascade down the slick purple-black rock, forced to flow only where the rock will allow passage.